Forgive me, Internet, for I have sinned. It has been over two months since my last confession. I am still here. I am still alive. 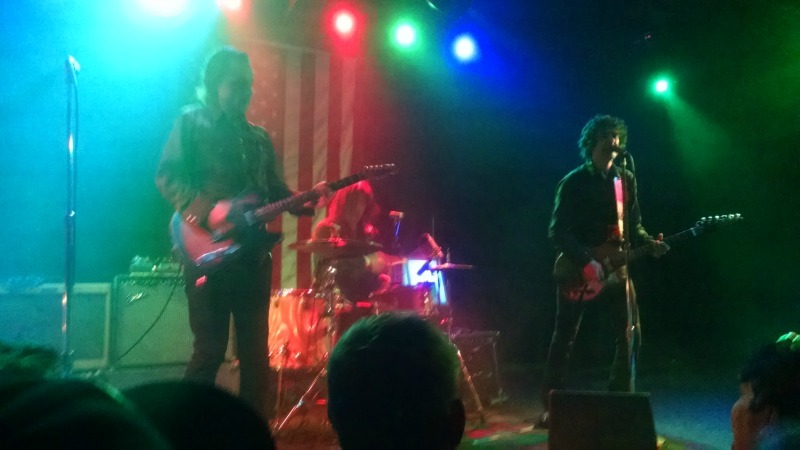 I’ve seen Jon Spencer Blues Explosion (again), attended the Tacoma Guitar Show, sold some equipment, purchased some equipment, almost purchased and sold more equipment, and dabbled with the guitar in that time. Have I joined a band? No. Have I learned a song? Almost. Have I lived life to the fullest? Trying. I haven’t written anything, but I have some pictures from the past few months that will hopefully turn into blog posts. I also don’t know if I have a lot to say right now, but am willing to try. I do have a certain gift for blathering on about guitars. I do have a new work schedule that has me taking on more child care duties. That has been a blast! My kids are awesome and, while I am by no means a perfect Dad, I can freely admit I would rather be engaged with them than playing guitar. But I do take some time to play while they make up songs, which is the best of both worlds. Perhaps I’ll post some of their diddies here in the coming months. If you have any topics or gear you would like to see on Guitar Wanna Be, let me know. I’ll see what I can do! On the way home from work I heard “Take Me To Church” by Hozier. So now I’m going to learn it! Of course I could just sit down and figure it out myself. 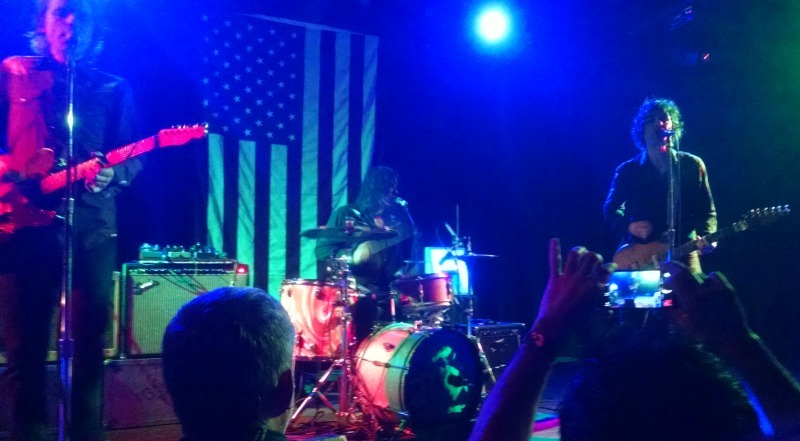 How have I missed Reignwolf? He’s even relocated the Great Northwest of the USA…Seattle! I understand he sometimes plays with a backing band, but I am loving his performances with just his voice, Gibson ES-335, and bass drum. Awesome! Makes me want to dig out my homemade acoustic stompbox. Oh, and learn to play and sing at the same time. Minor issue. One of the things I picked up from my local library was the documentary Sound City produced by Dave Grohl. As a music fan it was great to watch. As a wanna be guitarist it was great to watch. As a fan of the human condition, it was great to watch. And I just found out it is on rotation at VH1. What I also really liked was seeing how music was made. Or at least what they showed. They really focused on the interaction between people as they create something together. That was inspiring! While I thought about saving this post for Valentine’s Day, but I don’t have the patience. I became aware of My Bloody Valentine in the mid-90’s when I went to a short film “festival” in a small, upstairs conference room in my local town hall. One of the films was a collection of chemically “treated” Super 8 film shown to the album Loveless. It was grainy images with blotches of color and streaks and the soundtrack fit it so well that I can’t hear Loveless without those images coming to me. And that album was already 5 or 6 years old. Now, 23 years later, My Bloody Valentine has a new album: mbv. It pretty much left off where Loveless ended. mbv doesn’t have the place in my head that Loveless does, but it does feel like an old friend already. Some people will probably complain that mbv doesn’t show any huge changes or leaps in music that one would expect after 23 years. But that doesn’t matter to me. What matters to me is the fact that I listen to the new album and wonder how they got all that sound. How did they layer it? How did they do all that? Can I do it? How would I do it? What would I need that I don’t have now? How could I jury rig what I have now so I can get similar sounds? What matters to me is that when I listen to both Loveless and mbv, I am inspired to create something myself. That is the sign of a good album. I know it is a month old, but while watching this on the dvr I keep wanting to play the guitar. At least, that’s what I felt while Bruce Springsteen was playing. When Roger Waters got up there, I felt the urge even stronger. Adam Sandler was cool because when his guitar didn’t work, he just performed without it. I liked that. He was able to just roll with what was going on. But it didn’t distract me from wanting to play the guitar. Bon Jovi has some great songs, but I should’ve gotten off my couch. Then Eric Clapton got on stage and I wanted to watch. I wanted to watch his hands. I wanted to hear him play. I wanted to absorb what he was doing and playing. After that I just made my way through the rest of the performances. They were fun to watch, but it took me a couple days to get through them all. And, as always, Pinball Wizard got me to actually play the guitar. Early on in picking up the guitar, I wanted to play guitar like Allison Robertson of the Donnas. Here’s someone who finally plays a cover of Take It Off in a way that I can see how to play it.